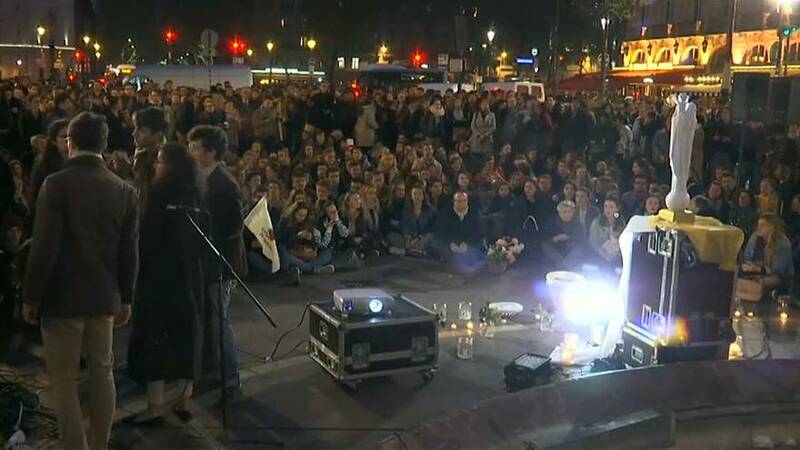 Hundreds gathered solemnly in front of the Church of Saint-Sulpice in the French capital before marching towards Place Saint-Michel. The iconic French gothic monument was very badly damaged during the blaze, its spire collapsed and its roof gutted. However, the bell towers were left standing and many valuable artworks were saved after more than 400 firefighters worked to contain the inferno, finally quelling it 14 hours after it began.